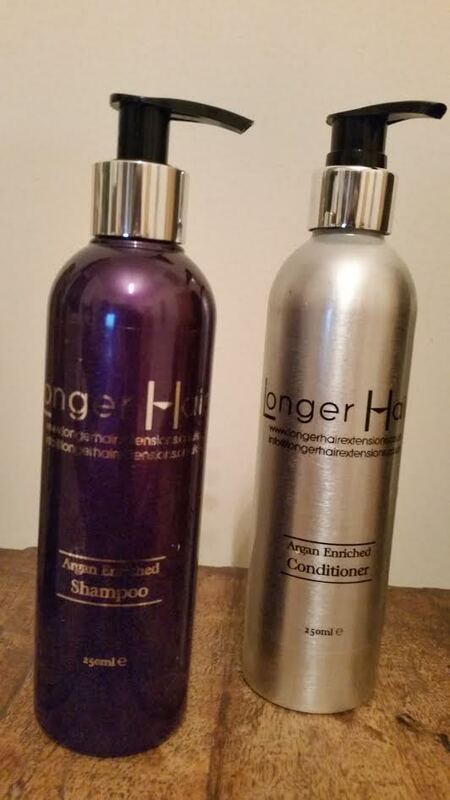 Longer Hair has produced these amazing Argan Oil Enriched Shampoo’s and Conditioner’s especially for Hair Extensions. However anyone can use these products which will enhance the condition and texture of ones own hair. Hair extensions do not produce their own oils. Water is good internally and externally for hair. Internally a well-hydrated body means that there is sufficient moisture for hair function, externally it means that the hair can maintain elasticity and suppleness. As extensions are not fed by the body, it is essential to hydrate and feed them manually. For moisturising moisturising moisturising extensions, water is the king. However, your extensions are porous and keeping this moisture in is next to impossible without sealing it in. The best way to trap moisture in your extensions is to use a sealant. Moisturisers/sealants are made of large molecules. These molecules are too large to be absorbed by the hair strand. Instead what they do is coat the strands and seal in the moisture that is already in the hair. So the key to avoiding dry extensions is to hydrate and seal – but without using/suffering from the drying effects of products that are not designed to help. A good moisturising coat does not just seal, it also enhances the brilliance and lustre of your natural hair colour. These shampoo’s and conditioner’s coat, seal, help restore and add shine. After wetting the hair thoroughly, apply a small amount of shampoo. Gently lather, allowing the foam to spread down the body of your hair and extensions. Add no more than a 50 pence amount into palm of the hand and gently rub onto scalp. Repeat this for a second time when the hair will lather. If hair is thick use more product. Add a similar amount of conditioner into palms of the hands and apply from mid lengths to ends.